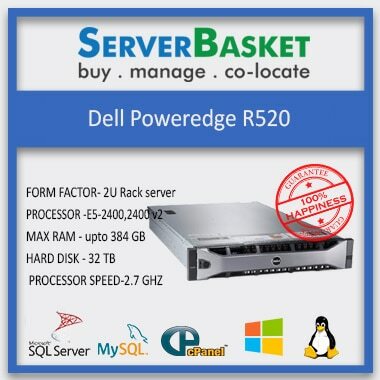 Are you looking for a server at the price of an average desktop? 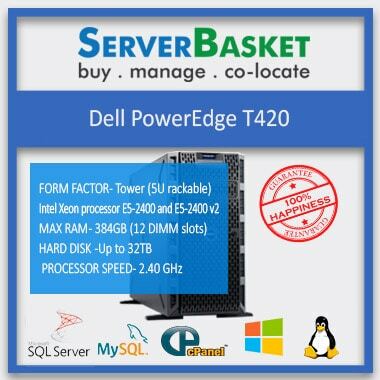 Then you are at the right place, buy Dell PowerEdge T20 Mini-tower server at a more discounted price only from Server Basket. This entry-level server comes with excellent internal storage capacity and performance, capable of small and home offices. You not only get a worry-free and excellent operation but also the server is extremely quiet. This affordable mini-tower server has easy access to internal components. With Dell PowerEdge T20 Mini-Tower Server you can easily secure your data files as it comes with best security features and RAID controller. With the support of Intel E3-1200 v3 processor family including Intel Xeon E3-1286L v3, E3-1286 v3, E3-1285L v3, E3-1281 v3, E3-1280 v3 Processors , you receive blazing performance. The faster the processor you get, the higher the rate of data transfer speed. With E3-1200 v3 processor you get a wide range of options that enable the operating system of the server to run smoothly. This quad-core processor is also ideal for virtualization that can operate up to eight virtual machines. 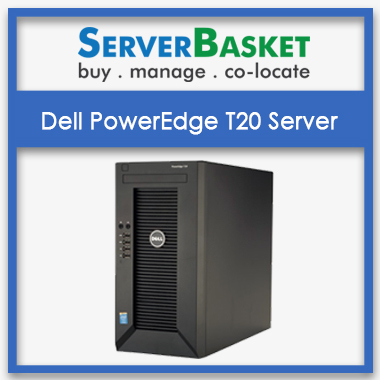 The Dell PowerEdge T20 mini tower server helps to eliminate lost or misplaced data, videos and images with the sneakernet file sharing system. The server allows you to share files and collaborate with the central file storage easily. This removes the headache of handling multiple versions and copies of the files. Store data centrally and share with ease with the most affordable entry-level T20 server. This powerful Refurbished server is Ideal for small businesses who are looking for a platform where they can host applications like web, email and database servers. The shared storage capability of this server makes it suitable to use at branch offices and departmental stores as well. Dell PowerEdge T20 mini tower server increases the productivity of your small and home offices. The Performance through the best processor onboard and huge internal storage capacity of T20 is engineered to render efficient. With T20 attain higher business transaction response time and save your valuable time while moving or copying the data. The Dell PowerEdge T20 mini tower server supports upto six internal cabled hard drive bays that support two 2.5” and four 3.5” and SATA drives. With these drives, you get a maximum internal storage capacity of up to 13TB. The low-cost T20 mini-tower server supports SATA 6Gb/s and 3Gb/s RAID controller that offers support for disk striping and mirroring. Utilizing RAID in your system would help to protect you against data loss during any hardware failure. The Dell PowerEdge T20 mini tower server supports multiple operating systems such as Microsoft Windows Server 2012 R2, Microsoft Windows Server 2012, and Red Hat Enterprise Linux. Choose from the range of operating systems that suits your business environment and make your experience worry-free. Server Basket offers personalized technical support to all its clients. We understand every business is different and at some or the other point faces complex business challenges, at that time you need the server to give its optimal performance. We provide instant support and are available 24/7 so that you get 100% uptime. 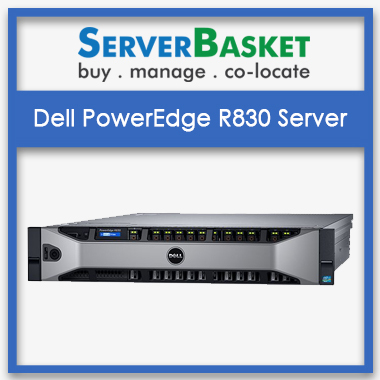 The Dell PowerEdge T20 Mini Tower server comes with a comprehensive 3 years warranty. Which means your device is covered from any hardware defects and malfunctions from the date of purchase for a full three years. In case of any defects, Server Basket would offer either provide free repairs or replacement of the system. This tower server is a very reasonable price. It’s equal to high-end laptop price. What do you look at when you buy a product? An electronics product specifically?Low price, Great performance, Great support. Server Basket has it all. For all servers. We have a home where a small office is set up independently within the home. 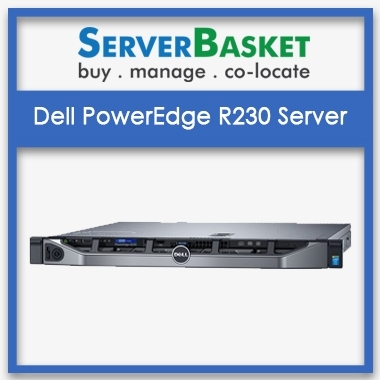 We bought DELL POWEREDGE T20 from Server Basket. I never knew DELL POWEREDGE T20 had a great memory, large storage capacity, and lovely CPU. I’m going to buy it, from Server Basket! Buying at Server Basket is the beginning of a relation. 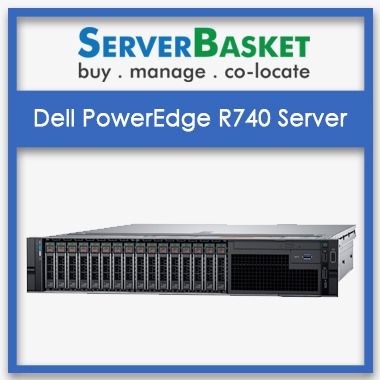 Which configurations are available for Dell PowerEdge T20 server? What processors does the PowerEdge T20 support? The Dell T20 Server supports Latest Advanced single-socket Intel Xeon E5-1200 V3 processor product family and also supports intel Pentium processors. What operating systems are supported by the T20 Dell? Window Server 2008 R2, 2012, 2012 R2 and RedHat 6.5 of Linux server are supported by T20 Dell server. What series of a chipset is Dell PowerEdge t20 server? Can We Extend the Memory/ Ram of dell t20 Xeon Server ? What is the different dell server t20 hard disk drive bays? Up to how many PCL slots dell t20 processor supports? Is this t20 tower server has Raid Controller? Yes, Dell T20 server is default comes with Intel Rapid Storage Controller 12.0 is the raid controller. It supports for Raid 0, Raid1 and Raid5 Levels. How many raid controllers this t20 server has? One Raid controller is present for this T20 server. 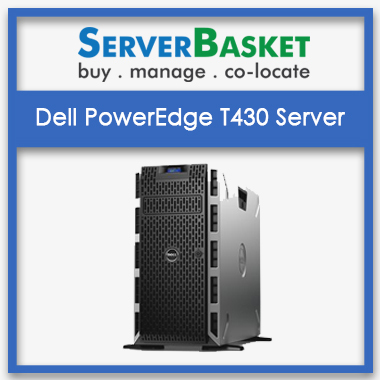 What is the power supply required for dell PowerEdge t20 server? What is the size of Chassis for dell server t20?